#Aww: From School To Shaadi... Their Story Will Melt Your Heart! We know that there are very few people in this world who manage to find their soulmates. And even fewer ones who find them so early in life! That's how the story of Savitha and Deepak goes. They met when they were just in fifth grade and even though they didn't get togeher right then, there was obviously no looking back! These two were lucky enough to find each other after all those years, or maybe they were so meant-to-be that it was fate that brought them together again! 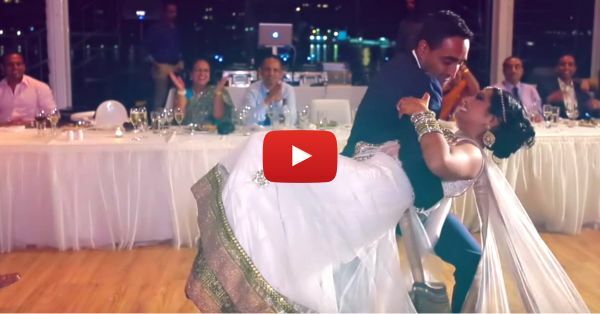 Watch this adorable wedding video by Rolling Canvas that tells their EPIC story! P.S. : You HAVE to hear the adorable things they have to say about each other! <3 PLUS: Subscribe to POPxo on YouTube for original videos + our favourite videos from around the web! MUST READ: #Aww: Is This The Most Beautiful Wedding Invite Ever?! MUST READ: #Aww: This Wedding Is Proof That Fairytales Do Exist!